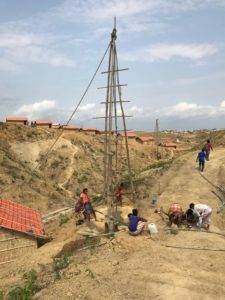 DSS water expert Michaël Cornelisse spent April-July 2018 as WASH Officer in Bangladesh for UNHCR. During this time he supported the UNHCR Country Operation in coordination with the Government, to coordinate and deliver WASH services to persons of concern to UNHCR. 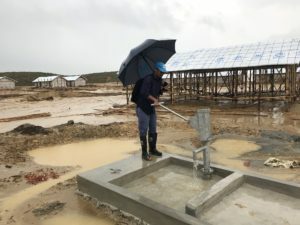 This includes ensuring that an adequate level of WASH service is provided at each site in accordance with applicable UNHCR and National Standards, and developing longer term WASH Strategies and Contingency Plans to cope with possible additional refugee flows in the foreseeable future. Michaël focused on the development of WASH facilities in new sites such as Camp 17 and Camp 123, gave support to technical areas such as water supply and water quality, and supported colleagues in the field. 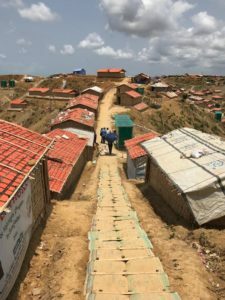 ‘It took some time to understand the extensiveness of the number of actors and the area in Camp 17. There was good cooperation and understanding with and from the UNHCR field colleague, and with the WASH focal agency NGO Forum. Together we managed well, each in his own role. I set up an overview schedule of WASH needs, ongoing construction and offered capacity, fed with information from the field colleague, and a progress and planning reporting format for UNHCR, which helped well in keeping focus and regulating needed capacity from partners. I also established good coordination with the Field Unit for the relocation activities. 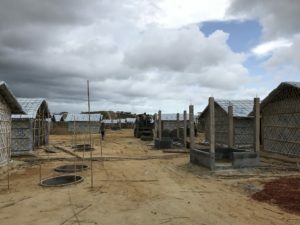 By the time I left, Camp 17 was filled completely and WASH facilities were almost completely in place, while on my initiative plans had been developed for the operation and maintenance of the facilities, divided over three main partners Caritas, NGO Forum and Save the Children. 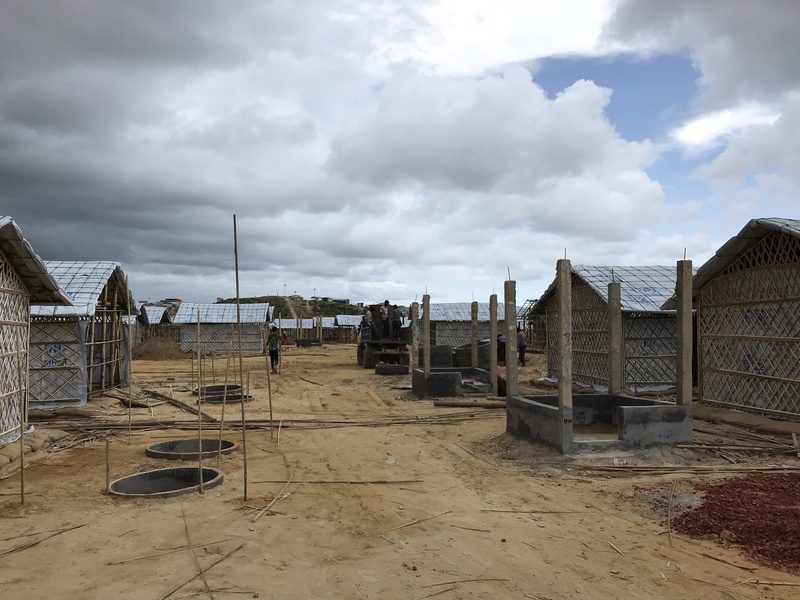 ‘During the first half of my mission, I interacted with two Oxfam Novib engineers and WASH lead colleague Didier on the development of a Master Plan for piped water supply systems throughout all the camps. 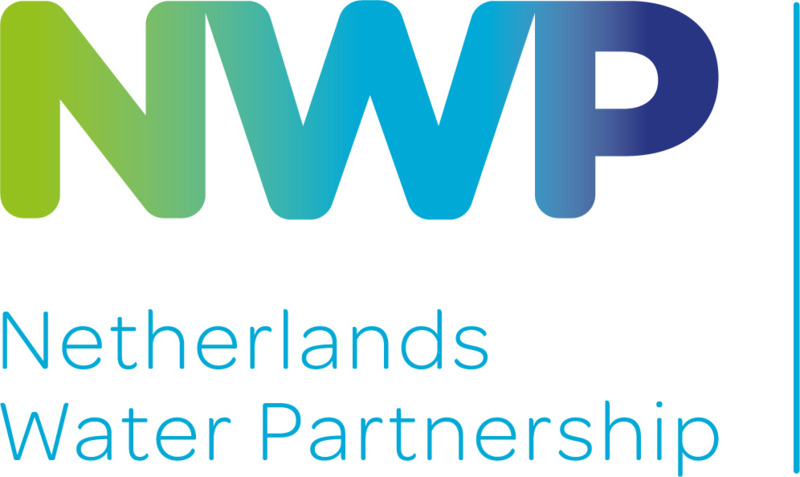 As a former Head of Planning Bureau of a Dutch water company, I have a lot of experience in this field. I contributed with information and knowledge from my own experience and assisted in drafting the ToR and in the communication, for further support by Vitens Evides International (VEI). After arrival of a VEI specialist, whom I assisted with some advice, my participation diminished (also due to dedicating all of my time to Camp 123 developments). The UNHCR WASH team consisted of some 15 people, nationals and internationals, each with his own geographical and/or technical area of work. I contributed in ongoing discussions on technical issues like improvement of designs of latrines and siting of facilities, and in organisational issues like coaching and coordination. 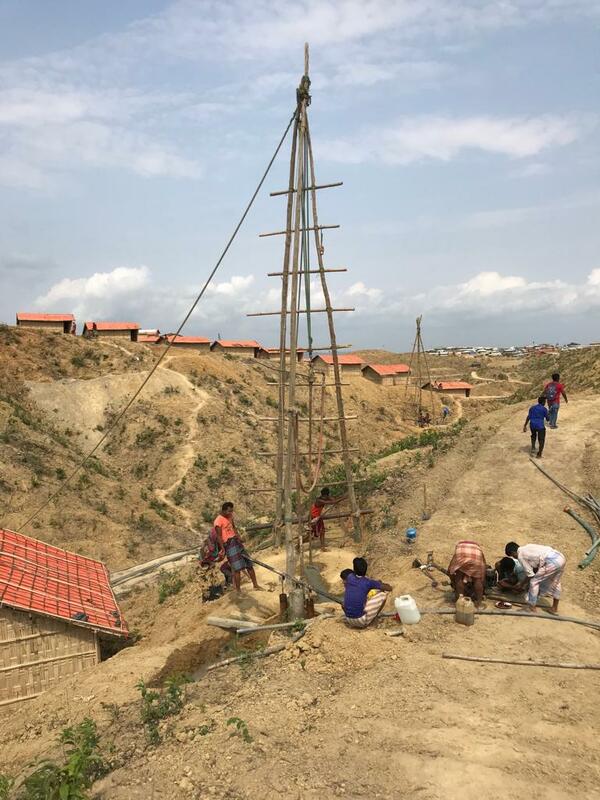 Next to this, I have again learned a lot about WASH in emergencies especially on the coordination of such a large operation as this one in Bangladesh.